Here at McNally Motors Toyota Longford, we take pride in looking after your vehicle. We place an emphasis on attention to detail and make sure your car is returned to you in perfect working order. When getting your car serviced, you should be guaranteed peace of mind; you have that with us, knowing your car is being serviced by Toyota-trained expert technicians. 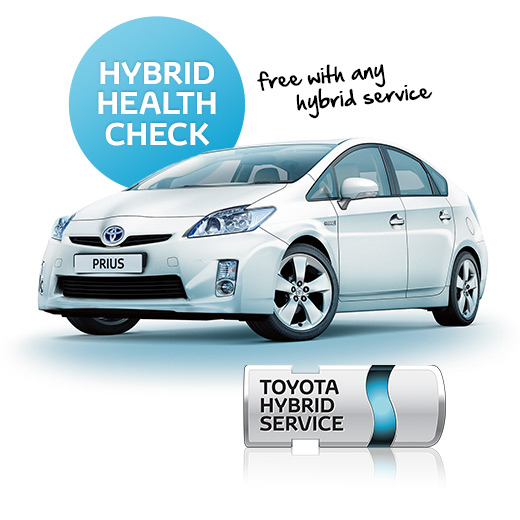 Hybrid technology, in particular, is a complex sphere, not every mechanic can work on a hybrid. However, our technicians are routinely upskilled by Toyota Ireland, meaning they are equipped to work on any car, be that diesel, hybrid or petrol. The most common question we answer is “how do I keep my car running smoothly?”. We advise every customer to get their car serviced regularly; missing your service appointment could be the difference between a happy car and a very sick car. By maintaining your car and keeping it in perfect health under the bonnet, you are protecting your resale value while also protecting the validity of your warranty. Our service centre at McNally Motors Toyota Longford is a state of the art, 6 bay workshop. We use the most up to date motoring technology in tandem with computerised diagnostics. This helps ensure your car is running at optimum performance capacity following your service with us. At McNally Motors Toyota Longford, we try to make your life as easy as possible. Firstly, we work off a fixed price service sheet, meaning you know exactly what you are going to pay before you get your car serviced. You can request a service quote here or call our Service Advisor on 043 33 45621. While your car is being serviced, we can arrange for you to be dropped into town for a spot of shopping and collected once your car is ready. But more importantly, when you’re ready. We also provide a courtesy car free of charge if that is the preferred option for you. If you’d rather have a browse around our showroom, please feel free to do so. We have a dedicated customer lounge with complimentary tea and coffee, biscuits and wifi. If you’re travelling with kids, don’t worry, we have a section in the showroom with toys and games for your kids to play and relax. We also offer a body repair service, completing the one stop shop here at McNally Motors Toyota Longford. Our dedicated service and warranty manager Henry will help you by answering your questions and queries, from price to anticipated completion time. Henry is in place to minimise distress and lost time. If you have any questions or are simply looking for some advice, you can call the garage we'll be more than happy to answer any service or sales questions. Toyota Plus is our used car cover - a 12 month warranty offered here in McNally Motors Toyota Longford. Included in this warranty is 24 hour roadside assistance, available on every assured used car in our lot. Each Toyota Plus used car is given a thorough 100 point check by our technicians, serviced and valeted before being awarded the Toyota Plus Used Car Warranty. It is our promise at McNally Motors Toyota Longford to place you first. Know when you call, you’ll be talking to a friendly voice. When you arrive, you’ll be greeted with a smile. When in the showroom, we’ll do our best to make you as comfortable as possible, be that getting you a cup of tea or answering your car and service questions. Finally, we guarantee your car will leave our garage 110%. When you shop with us, you’re buying trust, quality and peace of mind.